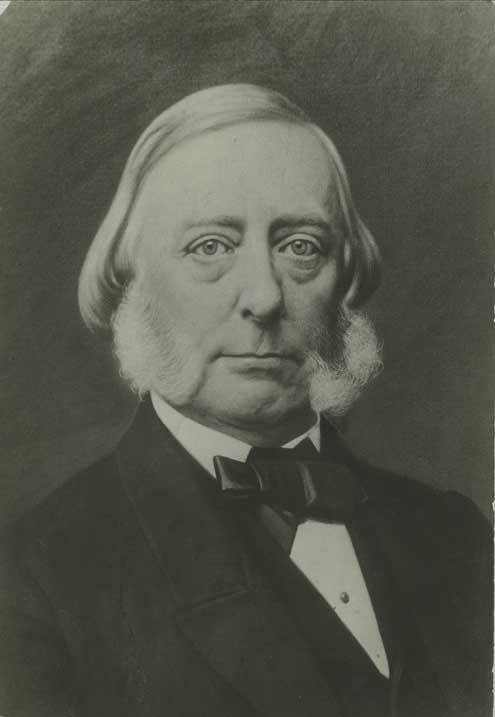 John A. Wakefield, most recently of Iowa and before that Minnesota and Illinois, had stood for election back in November, 1854, to become Kansas’ non-voting delegate in Congress. He stood again in March of 1855, aiming for a seat in the legislative council. That all brought him to Bloomington’s polls on March 30. He had a bit of a sleepover the night before, with fifteen or twenty voters bunking with him before heading off to the polls the next morning. Wakefield’s party arrived in time to see a few hours of Missourians come to Bloomington. The judges of election called Wakefield up to help them fill out the poll books for the day. He doesn’t say why, but I imagine they expected that he had a good handle on who might have arrived after the February census. Undeterred, Wakefield helped fill out the poll books and then went around to the window to see that the judges took their oaths properly. That might make him a busybody, but as a candidate he had an understandable interest in seeing the election follow proper procedure and even beside that as a Kansan he had an interest in seeing that only qualified voters voted. then the Missourians crowded in and surrounded the house, and demanded to vote. We already know that the judges declined to allow any unknown voters who didn’t swear an oath that they resided in and intended to remain in Kansas. To us that sounds reasonable. Why should the candidate be let breathe down your neck while you cast your vote? But Wakefield did not intimidate anybody and Americans of the era had no expectation of a secret ballot. Quite the opposite, who you voted for generally became public knowledge as you voted. Unless you hid the ticket, and received it in secret, anyone who cared to know could probably learn in advance. All the same, the Missourians shoved Wakefield away from the window. A man by the name of G.W. Ward came to me and said, “Judge Wakefield, if you have any influence over those judges, you go and tell them to let the men vote.” I told him that I never advised men to do wrong. The same Ward stood as the proslavery candidate and testified that nothing at all untoward happened on the proslavery side at the election. Wakefield may not have seen it, but others testify that about the same time as they broke into companies the Missourians went to their wagons and took up arms. Claiborne Jackson, incidentally, came to Lawrence as one of the leaders of the Missourians and helped direct a detachment of them to go over to Bloomington. His past adventures included a role in removing Thomas Hart Benton from the Senate and he would go on to win election as Missouri’s governor in 1860 on a Unionist ticket, even though he fully intended to take the state out of the Union however he could manage it. The excitement by this time was very great, and they were threatening to kill two of the judges, Burson and Ramsay, At this time I saw a number of men with a large piece of timber to pry the house over, and also a piece of short timber for a fulcrum; and another company came with a piece of short timber to batter the door down. But before they attempted to batter the door down, Parris Ellison, one of the judges of the election, opened the door from the inside, ran out with the ballot-box in his hand, hallooing out “Hurrah for Missouri!” He immediately returned to the house, and as he did so the mob rushed in to get at Burson and Ramsay. Wakefield did not see the five-minute ultimatum that Sheriff Jones delivered, but Burson and Ramsay came out a few minutes later and asked him what to do. The judges of election that Andrew Reeder appointed refused to recognize any right of the non-resident Missourians to vote in Kansas territorial elections. In the First District (parts 1, 2, 3, 4, 5, 6, 7, 8, 9), numbers and threats alone sufficed to overwhelm such objections. Samuel J. Jones, later a sheriff, did not take well to rejection. He would not swear under oath and penalty of perjury that he resided and intended to reside thereafter in Kansas. Nor did he think that they should receive the vote of any man who swore an oath. That would rule out even genuine new arrivals to Kansas who the judges did not recognize, but leave the polls wide open to Missourian interlopers. that if we did not do so [resign] they would tear the house down and kill us. The Missourians, who had probably as much alcohol in them as weaponry on them, charged the window. They smashed it in, glass and sash alike, and jammed logs under the corners of the house. They put other logs beneath them to use as fulcrums and jacked the walls up, then let them drop. At that moment one of the judges, Mr. Ellison, gathered up the ballot-box and rushed to the door, and said that if we did not close the polls there would be one hundred shots fired in here in less than fifteen minutes, and we would all be killed. He opened the door and ran out into the crowd, taking the ballot-box with him, and hurrahed for Missouri. There were, I should think, a dozen pistols cocked and pointed to the judges at the window, and they swore they would blow their brains out if they did not receive those votes or resign. I did not count the number of times these pistols were presented, but I should think it was from eight to a dozen times. At that moment numbers rushed in the door as fast as they could come in, with revolvers drawn and bowie-knives in their hands. They now filled the house; and Jones, one of the first who came in, requested us to resign; that if we did not resign they would kill us. Jones drew from his pocket his watch, and gave us five minutes in which to resign or die. had their revolvers ready to shoot and their knives in their hands ready to stab. The two judges who remained stood their ground. Jones gave them one more minute. About the expiration of the one minute, I [Burson] was called out to see Mr. Wakefield, telling Jones I would give him an answer about resigning when I returned. Readers might remember a John A. Wakefield from the November election. He stood for office again this time around and again had things to say to the Howard Committee about the conduct of Kansas’ elections. The First District (parts 1, 2, 3, 4, 5, 6, 7, 8, 9) did not really do much to live up to the Bleeding Kansas of our imaginations in the territorial legislature elections of March 30, 1855. The testimony features far more in the way of threatened violence, including the gory claim that the speaker would behead one of the judges of election, than it does actual fighting. We should not minimize the power of the violent language and the display of weaponry, including cannons, but even the men who the border ruffians did attack came out apparently without losing any blood or any general disturbance. The Missourians chased one into a river and shot at him, but missed. They manhandled another, but confined themselves to lifting him up and shaking him. Aside from crowding at the polls, harassment, and initial threats that forced the resignation of two judges of the election, voting proceeded in an orderly manner. To hear George W. Ward tell the story, the Second District had no trouble save for some officious meddling by free state men. The people who voted had genuine residence in Kansas. They behaved themselves. Maybe they had a bit of fun, but nothing truly untoward happened. 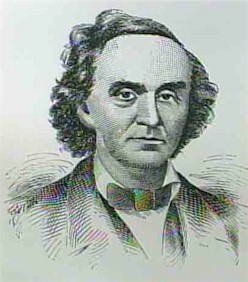 Ward himself stood for election that day on the proslavery ticket. The thirteen other witnesses disagreed. The Missouri men came, armed and intoxicated, on the morning of the election. Some, possibly all, of them came by way of Lawrence and at the specific command of their leaders there. They had enough on hand to carry the Lawrence election handily, but the Second District’s polls at Bloomington did not. That election too required stealing. Witnesses disagree on how many Missourians came to Bloomington, with numbers ranging from three hundred (Or zero if you believe Ward. Perhaps the other witnesses had remarkably uniform hallucinations?) to seven hundred or more. They arrived shortly after the polls opened and thus had to suffer the indignity of a few actual Kansans voting in the fifteen minutes to hour (witnesses differ) before they came up. replied that they had come up from Missouri to vote, and they would vote, and they intended to make Kansas a slave-State. They [the Missourians] also stated that no man should vote there that day that would take the oath. Readers who want to delve into the Howard Report should note that a Samuel Jones gave testimony on the election in the Second District. He refers to this Samuel Jones in the third person. They shared a name but not, confusingly, a body. 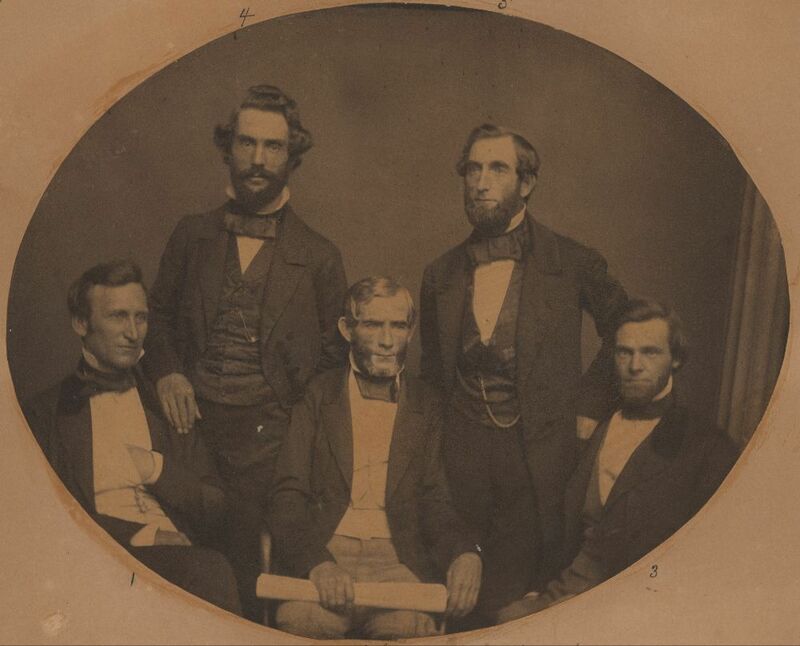 Some men not affiliated with the Missourians had hung around about the window waiting to vote before their arrival. With the Missourians theoretically disposed of, they gave it a go and quickly found the mob hauling them back from the polls. If the judges would not let the border ruffians vote, would they resign? They would not. Then things got interesting. Continuing here would probably make for a very long post, so I’ll return with the excitement tomorrow. I don’t think that the deceased equine requires additional pummeling on the fact that Missourians came into Lawrence. They had guns, including a pair of cannons, their threats of decapitation, and came on the dime of Missouri slaveholders who arranged their ferry passage and provisions in advance to save Kansas and Missouri for slavery. The border ruffians intimidated one judge of the election into resigning and prompted another to resign in protest when their appointed man and the lone proslavery judge Andrew Reeder named for the First District declared that a residence of an even an hour in Kansas Territory qualified one to vote in its elections. They would not even demand that voters swear they meant to stay in Kansas after voting, in complete defiance of Reeder’s instructions to them. That brings us up to the voting itself. It took place in the other half of the building that held Carmie Babcock’s post office, in the very room where some of those advance provisions had waited for their arrival. 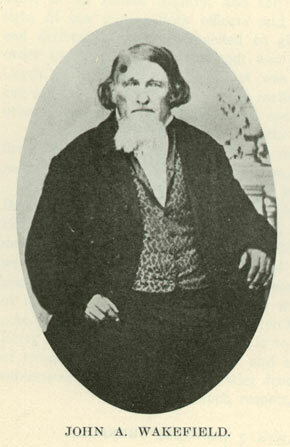 George Dietzler, who told the Howard Committee that he saw a man put forward as a member of the Missouri legislature among the Missourians, went out to vote that day. I came to town rather early, and found the place where the election was to be held surrounded by these strangers; I knew them to be strangers from the fact that they wore white ribbons in their button-holes. Very few citizens were about at that time; they did not seem to disguise their intentions, but spoke very freely about it all day. I talked familiarly with them about it; one of them, to show that he was a citizen, took off his boots to show that he had some Kansas dirt in it; he said that made him a citizen; they said they were citizens of Kansas, all of them, when asked the question. The dirt in the boots argument came from a place of humor, but spoke to the real attitude. The Missourians had come to Kansas. They thus, at least to justify their voting, resided there at the time as much as anybody else. Did any of them come because they genuinely believed such a thing? Of course not, but having the argument on hand to justify what they already chose to do probably made it easier for them to face discontent from actual Kansans and the scrutiny, so far as it went, of the election judges. returned to the polls about ten o’clock; found it very much crowded, so that it was almost impossible to get to the window. After much difficulty, I deposited my vote. They asked me to pass over the roof of the house; that I could not get back out of the crowd. I refused to do so, and then they asked me to get down and crawl through their legs to get out. I told them I should do no such thing;’ that I walked in, and should walk out. I fought my way out, I might say, and was a long while doing it. I had had equal difficulty to get in. I should suppose there were between seven and eight hundred at this point; most every one had a gun, and all had revolvers and bowie-knives, and took occasion to expose them, to let us see that they were armed. The crowd came in so thick that other people really did crawl up on the roof and go over the house to get out after casting their vote. I imagine it took no small measure of courage to push and shove one’s way through a crowd of heavily armed men pledged to violence, then stand up to them and do it again to get back out. One can’t blame Dietzler for not trusting them to spare him some kicks and maybe a stab or two while he crawled down among their legs. N.B. Blanton, after proving uninterested in persuasion and not amenable to bribery, yielded his post as judge of the election to the threat of lynching. The better part of valor might not win him any admirers, but traveling with the large party of armed men who threatened his life gave him a very good idea of how seriously they sized him up for a noose. That left James B. Abbott and Hugh Cameron to safeguard the election, along with whoever got elected to take Blanton’s place. Cameron did not testify before the Howard Committee, but Abbott did. Abbott takes up the story where Blanton left off, beginning his testimony with the statement that he and Cameron received Blanton’s resignation. They chose another judge and opened the polls. The first man who offered his vote was, I think, a man named Page, and took the oath that he was a resident of the Territory. I inquired of him if he had a home in any other place. He said he had; that he lived in Missouri. I inquired if he intended to make this Territory his home. He said he did not; that he expected to go back after the election. Mr. Cameron noe [sic] of the other judges, had also stated that if he intended to go back to the State of Missouri after he had voted, he could not permit him to vote. He asked him one question further; if he was a bona fide settler of the territory. He said he was, and Mr. Cameron then said that if that was the case he did not think he could prevent his voting. One wonders what went through Cameron’s mind when he made that call. Did he fold in the face of the mob, or did he set out from the start to construct a fig leaf to permit the border ruffians to have their way? I wish we had his testimony. But before the panel concluded its examination of Page, Colonel Young came up and asked him to stand aside. Young has hovered around the edges of past posts about the First District. He appears to have had charge of the party that came to Lawrence from Missouri. Whether he had some kind of formal authority or just the power of his reputation, it sufficed to dispatch parties to other districts from Lawrence once they arrived. questioned him as to his residence. he stated that he was a bona fide resident of the Territory. I inquired if he had any home in any other State. He said it was none of my business or anybody’s else. he said that if men swore they were residents it was my business to receive their votes as legal voters of the Territory. I told him it was the business of the board, as I understood it, to inquire and satisfy themselves as to that, and not let the voters decide their own cases. said he considered them impertinent, and that he was incompetent of perjuring himself; and stated that if any one insinuated that he had perjured himself, or was competent to perjure himself, he would tear their heads from their shoulders. Two of the judges of election found the argument from decapitation persuasive and ruled that Young should vote and they should keep their heads. Abbott disagreed on the former, if not the latter. He resigned in protest. He might have known that trouble would come. The night before the election, he and Cameron met received word from a Missourian who came up from the camp that they should resign or there could be trouble. Presumably neither imagined threats of bare handed decapitation at the time. Andrew Reeder named three men judges of election for the First District. To them he gave the power to scrutinize voters and, if necessary, make them swear under oath that they did in fact live in Kansas and intended to remain there. Given how Missourians had stolen the last election, a far less consequential matter than the current one for territorial legislature, it would have required a fool or an accomplice not to take precautions. Reeder did his best, naming two men of free soil beliefs to the three person panel. They might not stand up to a mob armed with two cannons, but who could see cannons coming? After I had travelled on about ten miles, and they had found out that I was one of the judges of the election, they wanted to know if I would let them vote without swearing. I came about fifteen miles with them; I do not know how many there were in the company, but I should suppose there were about one hundred; a good many asked me -first one, and then another- if I would let them vote without swearing. But Blanton had sworn out an oath and considered himself bound by it. They did not qualify as citizens of Kansas Territory, end of story. Two or three more spoke up and said if I did not let them vote without swearing that their men would get enraged, and maybe hang me; and that I had better resign. Blanton did not resign on the spot, but he took their threats seriously and did so on the morning of the election. He hung around Lawrence, close enough to see the polling and recognize men from the party he rode with going up to vote. Later on he recognized some of their names on the poll list. Blanton allowed, however, that he did not speak to every last man. I did not know that they were speaking for the company, except when they said their men would get enraged, and maybe hang me, if I would not let them vote without swearing. They said their object in coming here to vote was, in the first place, to get a legislature to suit them, and then make Kansas a slave State. One can appreciate that offers of bribery and persuasion came through the vices of isolated individuals in the party. They need not all be soft-spoken palm greasers. But they did have unity of purpose and, apparently, at least a reasonable expectation that if they had to hang Blanton they would all come together. Say what you will about the border ruffians, but don’t say they lacked a strong community spirit to go with their cannons. Sorry about the tardy post. Technical oversight on my end. The Missouri border ruffians came over in the hundreds to filibuster Kansas for slavery. They had provisions sent ahead, their expenses along the way paid, and they came with weaponry up to and including a pair of cannons. By threatened and some actual violence they intimidated the people of Lawrence into not resisting as they stuffed the ballot box. But all of that takes us only up to when they started voting. They must be satisfied of the qualifications of every person offering to vote, and may examine the voter, or any other person, under oath, upon the subject. What made for a qualified voter? By the term “white,” as used in this and other laws of a similar character, is meant pure unmixed white blood. The man who has any mixture from the darker races, however small the proportion, is not regarded as a white man. This has been repeatedly decided, and may be regarded as settled. Immigrants fresh off the boat got special allowance to vote if they swore an oath that they would take up citizenship, but anybody the judges knew to have a single black or Indian great-great-great grandparent did not qualify even if his family lived in North America since Jamestown. It will be seen that the act of Congress is drawn with much care to exclude non-residents from the polls. It provides that a voter shall be an “inhabitant” and “an actual resident.” A voter must dwell here at the time of offering his vote; he must then have commenced an actual inhabitancy, which he actually intends to continue permanently, and must have made the Territory his dwelling-place to the exclusion of any other home. If they had the courage to face down a mob armed with cannons, the judges of election had the tools at their disposal to keep the Missourians from voting. For the First District, Andrew Reeder charged Hugh Cameron, James B. Abbott, and N. B. Blanton with safeguarding the election. Cameron does not appear to have testified before the Howard Committee, but Abbott and Blanton both did. History records how well things worked out, but their stories will bear some examination in future posts. When last we left the First District, men from Missouri had come again to steal the election. They had provisions stocked up in advance. They openly announced their intentions, declaring that they had every right to vote in Kansas and even if they didn’t, hordes of Emigrant Aid Society men coming in justified a retaliatory strike. That those hordes did not appear didn’t enter into it. On arrival, they violently accosted at least two known free soil men, going so far as to chase one into the river and shoot at him. I have mentioned frequently that the border ruffians came over armed. The fact appears in just about every piece of testimony I have read. The Howard Report cites no less than nineteen witnesses on the subject. I will not inflict upon the reader to a tedious recounting of all nineteen pieces of testimony, but the fact bears some repeating. They had tents, and were armed; I saw private arms, and I saw rifles and other arms of that kind, double-barrelled shot-guns, revolvers, and knives. There a large number who had arms at the polls; some few had shot-guns or rifles, but mostly revolvers and knives during most of the day. So far as I observed all of the Missourians were armed at the polls, but not all of them with their larger arms, but with their side arms, revolvers, and knives. They were generally armed with rifles and shot-guns, and many of them had belts with bowie-knives and revolvers exposed, though some were somewhat concealed by coat-skirts. […] some 400 or 500 at the polls who were armed with shot-guns and rifles. The residents of Lawrence, of course, had their own firearms. It appears, however, that they largely left the guns at home. Nor do they appear to have boasted so extensive an arsenal as the Missourians. A large group of men going around armed sends a message. That many witnesses insist the Missourians behaved themselves, with some conspicuous exceptions for firing on a supposed abolitionist and manhandling another, doesn’t much help their case in light of that. People who care for their safety do not go out of their way to rile men with guns who have already uttered violent rhetoric and late in the day carried some of it out. They claimed that they had a right to come here and vote; all they asked was to vote here peaceably, and if they could not do it peaceably they must resort to some other means. Most of them had double-barreled shot-guns, and guns of various descriptions, and most of them had side-arms. I saw a couple pieces of artillery. We crossed the ravine, and came very near the house of the election. Some gentleman hallooed to me; I went back, and we got into conversation about the matter. He asked me if I thought there was any prospect of difficulty here? I told him I thought not. He said how he was in hope there would not be. I told him that if there were citizens enough in the place to give them a fair fight they would do it. He thought there would be no use in doing that, and invited me to go down a short distance with him. We went to a wagon, and he lifted up a cloth and some blankets, and remarked to me that there was a couple of “bull-dogs” they had, loaded with musket-balls. They were all covered up in the hay, with the exception of the rims of them; they were a couple of brass cannon. The border ruffians brought with them to Lawrence two cannons. Nice election Kansas had there, terrible shame if something had to happen to it. The Missourians expected a nice, quiet election. No need to make trouble…but if someone did then they had a Plan B with a side-order of cannons. There will be no news hot off the presses from Kansas, in 1855 or otherwise, today. If you want some Civil war-related content, then you may find the breathtaking stupidity of certain self-appointed Southern Heritage Advocates amusing. It transpires that they looked up Abraham Lincoln in the returns for the 1860 census and discovered a woman unrelated to him or to Mary living in their home. Could this Mary Johnson have been a slave? Well no. As it clearly says on the very page they produced, it tabulated only free people. The schedule of free persons thus clearly proves, by listing this free person in Lincoln’s household, that Abraham Lincoln was secretly a slaveholder and this fact has been suppressed for fifteen decades. I am not making this up. Al Mackey offers a reasonable interpretation of the affair here. Stupidity or malice? I lean more toward the former, but the two come together often enough. Your author spent the time that he would have devoted to writing another Kansas post with a friend back from Oregon for the week. It’s only the third time since 2000 that we’ve seen each other. We spent the time in this foreign place, an uncharted, howling wild lit by an alien, unnatural ball of flame that floated in the sky. I think that its hateful light burned my tender flesh. Tiny creatures feasted upon my blood. Slithering, loathsome things undulated in the grass. Signs warned us of them in lurid detail. I can only presume that some forgotten generation of explorers posted them. We saw none, but I have no doubt that for all our strange ordeal they lurked nearby. I suspect that my friend had dire intentions toward me, as she lured me off the marked trail -surely the remains of some ancient, lost civilization- to point out the odd flora. This plant eats meat. Their petals form little cups that fill up with a substance that smells delicious to insects. The insects fly in and get stuck, where the plant happily digests them. Fascinating organisms, I must say. I apologize for my questionable photographic skills, but with thoughts of the slithering things in the grass I did not care to crouch down and get a really good picture. I fed the wildlife sufficiently upon my precious blood, thank you.